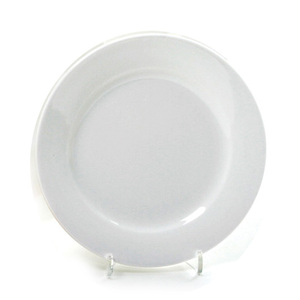 Traditional round salad plate. Made of white porcelain. Measures 8"/20cm.